Alto Saxophone. Composed by Gordon Goodwin. 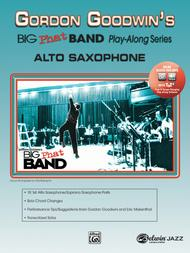 Play-Along; SmartMusic; Woodwind - Saxophone Method or Collection. Gordon Goodwin Series. Grade 5-6. 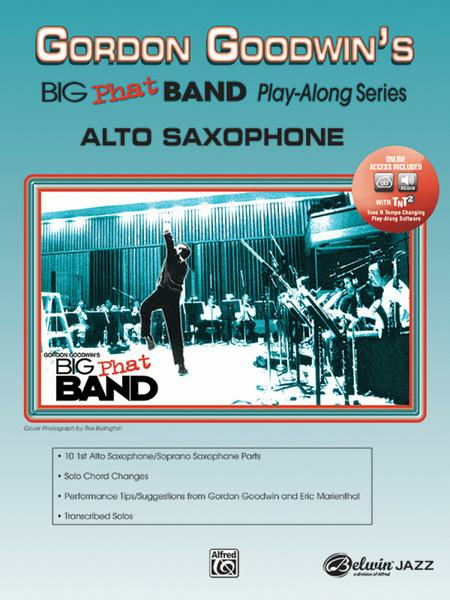 Big Band and Play Along. Instructional book (leadsheet notation) and accompaniment CD. With leadsheet notation, introductory text, black & white photos, performance notes and solo transcriptions. 76 pages. Alfred Music #00-25244. Published by Alfred Music (AP.25244). ISBN 0739039652. 9x12 inches. English. sale. Us advanced players hardly get any music to buy from at our level, for they cater more to kids and not good players. I haven't found any more like this out there since buying this one to buy up and accumulate to my collection and repitoir. This book contains both soprano and alto parts. The songs will definately get your hands moving and there is some solo space. Have fun, keep playing, and work on the transposed solos!! 25 of 44 people found this review helpful. There are both soprano and alto charts for you to do the lead part. Some take a bit of practice and some require ALOT of woodshedding, but the book and CD are AWESOME.